A Care Bears Grumpy Bear Costume including a Dress, Gloves, and Headband – Ideal for a TV & Film theme, or any fancy dress occasion! Transform yourself with this fantastic Care Bears Grumpy Bear Costume! 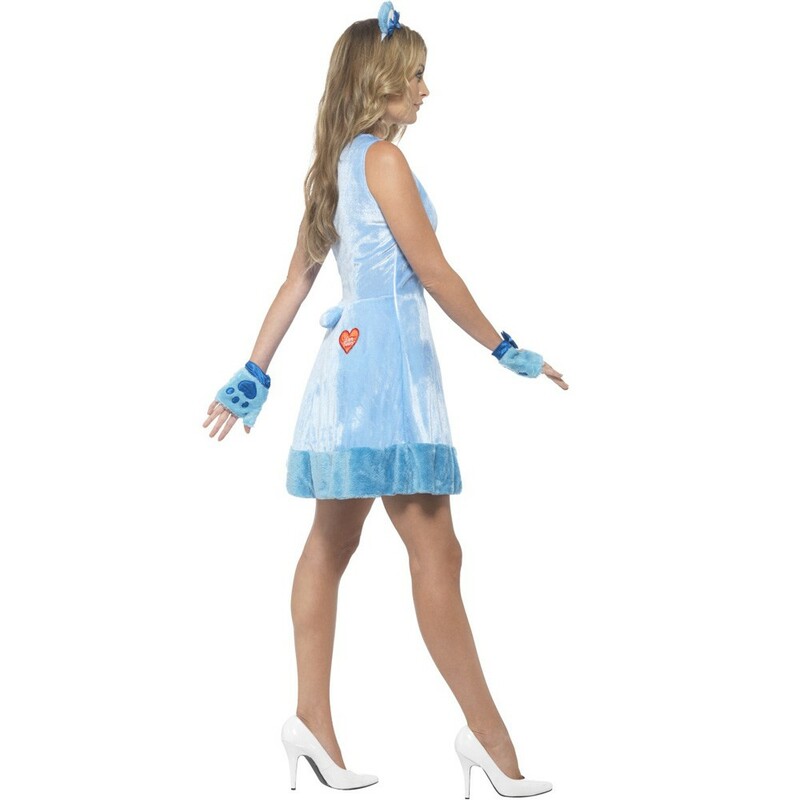 This licensed Care Bears Grumpy Costume comes complete including a Dress, Gloves, and Headband. This Blue velvet tank-style dress features a large rain cloud motif on the chest, and also includes two velvet fingerless gloves with heart paw design on one side. Complete this Care Bears Grumpy Bear Costume with the blue velvet headband with attached Ears and blue bow. Perfect for a TV & Film theme, this Care Bears Grumpy Bear Costume will be sure to enjoy the party no matter what the occasion! So show there is a little care even in Grumpy Bear with this gorgeous Care Bears Grumpy Bear Costume. A Licensed Care Bears Grumpy Bear Costume.